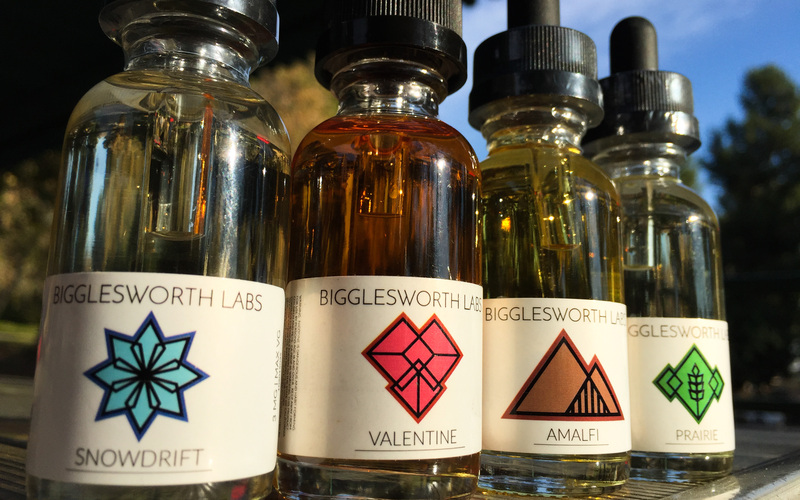 Founded in 2014, Bigglesworth Labs' e-liquids are unique among a sea of fruits and creams. Distinct, savory all day vapes without any cloying sweeteners or heavy custards.. After six months of mixing every weekend, Prairie and Snowdrift were born. This ethos of dogged determination in crafting a flavor continued, and over the course of the following year, two more flavors were created - Valentine and Amalfi. Each flavor has undergone rigorous testing and revision until perfected. If we don't say so ourselves, it's pretty good juice. In 2015, Bigglesworth Labs partnered with Bombies Automatic to bring their e-liquids to the public at an affordable price. They don't believe "premium" juice should be so expensive and the pricing reflects that. They also believe your purchase should be ready to enjoy the day you receive it, which is why all of Bigglesworth Lab e-liquids are processed and stabilized (pre-steeped) so that they're ready to vape the moment they hit your mailbox. These flavors are a labor of love, and we hope you enjoy them as much as we do!